Best used in conjunction with a full-size metal detector, a pinpointer is simply a small, handheld metal detector that’s used to focus in (or "pinpoint") your target. No one wants to waste time digging giant holes, so instead use a pin pointer to help unearth metal items located by your larger detector. This handheld wand enables you to determine exactly where the treasure is buried, keeping you from having to dig and sift through buckets and buckets of dirt. Once you’ve detected something metal with your regular detector and dig your plug, use a pinpointer to get an exact location of the target in the hole. 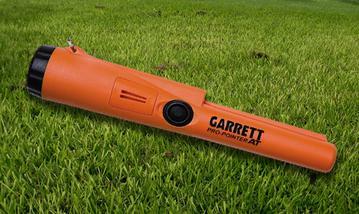 Within seconds you’ll be able to pull out metal objects buried in soil or sand. Also ideal if you lose your keys or ring when gardening or working in a confined area. 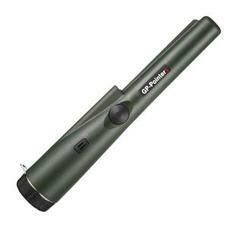 A pinpointer will help you recover metal objects -- jewelry, gold, silver, coins, etc. -- quicker and easier.